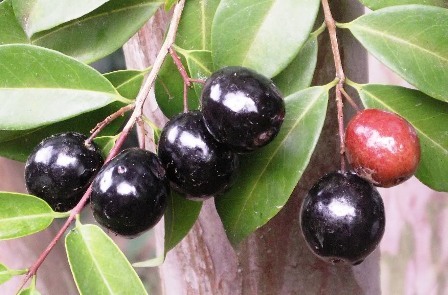 Rain forest plum is relatively a less common fruits compared to other species of Eugenia. It is believed to be a native of coastal Atlantic forests of Brazil. It bears small dark purple fruits with a mildly sweet and firm pulp. It fruits several times a in a year and is a heavy bearer too. A shrubby tree growing to 10-12ft. Flowers are born in large clusters, with fruits ripening several weeks later. There are both purple and red fruited forms. 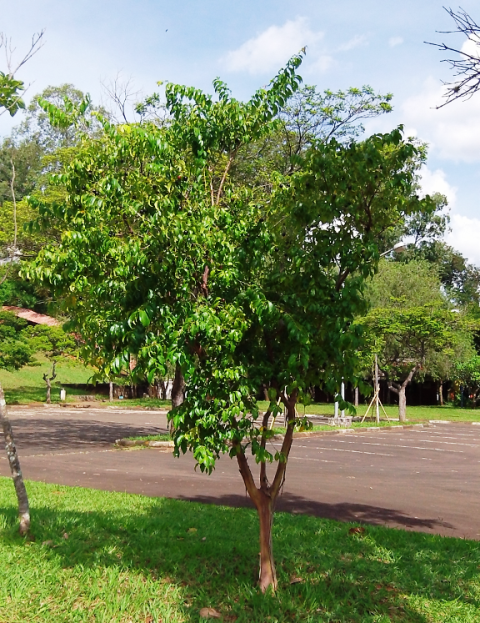 A medium sized tree 3–6 m tall and with a rounded or conical canopy up to 2 m wide, bark reddish brown peeling off naturally exposing reddish trunk. Leaves rusty-brown in the beginning turning yellow and then deep dark green later, in opposite pairs, with smooth leathery texture, smooth edges, and the apex curved downwards. Flowers borne in groups of 20 or more stalks, each bearing two flowers, sprouting from the base of leaf stalks. 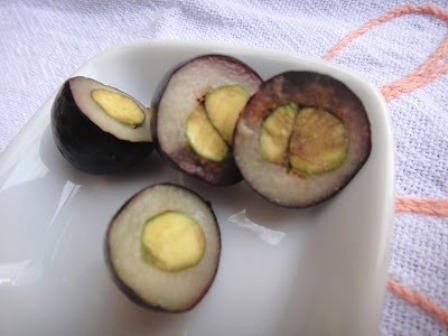 Fruits round or slightly elongated berry, up to 20 wide and 25 mm long; with thin purple-black skin, pulp wet, firm, whitish, 3–5 mm thick, is edible, moderately sweet, with an aroma similar to (but less intense than) that of the jaboticaba. Fruits are edible and eaten fresh and are very much liked by all. These are also made into jams. The unpitted fruits are great for making cake and also serve to make juices, ice creamsand jellies. 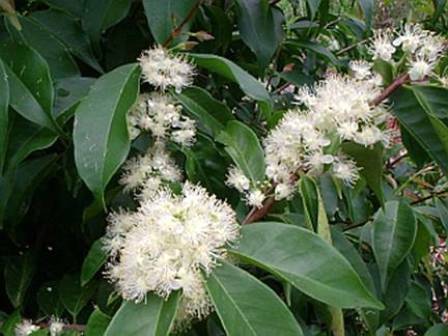 The flowers are bee and the tree is ornamental and can be grown successfully in urban areas. The infusion of leaves has been used for the treatment of pain and fever. The essential oil distilled from the leaves (green 0.14% by weight) contains isomers of guaiol and cadinol, δ-elemene and viridiflorene. Rain forest plum thrives best in full sunlight and requires good irrigation during the flowering and fruiting seasons. It can be propagated from seeds. The seeds, however, loose viability soon and therefore should be planted within 20 days of extraction. The tree is easy to grow and starts bearing fruits after two years.